Rheumatic fever is a well known complex of infectious causing allergic process being particularly responsive to streptococcal infection in human organism. General statistics states that rheumatic fever occurs only in one out of 100 cases of sporadic recover from angina disease and in only cases three out of 100 patients having recovered from epidemic tonsillitis. In fact, there is more and more evidence informing the background of so called “family rheumatism” which is developing mainly because of hereditary, genetic, and environmental factors such as external infection, social and everyday moments. Modern medical school enables to identify Rheumatology or a group of rheumatic diseases being known in Russia as true rheumatism or Sokolsky-Bouillaud’s disease, to invest in this concept not only acute episodes (acute rheumatic fever “), but all stages of the disease with its propensity for recurrence and the formation of valvular heart diseases. According to classification we distinguish active and inactive phases of this disease. It is being recognized as the possibility of transition of active rheumatic process in the inactive phase of the disease and the division of the active phase of three degrees of activity. 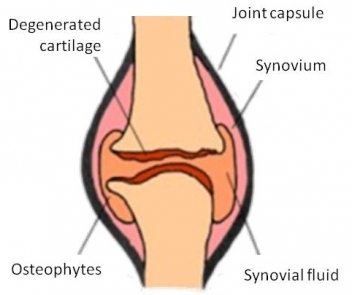 By the nature of the flow distinguish several phases of Rheumatism as the subacute phase, so called prolonged phase or continuous, recurrent and latent phase being the course of rheumatic process. In the classification of rheumatic fever starting from the year 1956 the main consideration is taken into account only the flow pattern of rheumatic disease i.e. acute, subacute, etc. In the future level of activity was identified with the character of the flow or the flow has been synonymous with acute third level of activity, also so caked subacute which belong to the second level, the prolonged sluggish and or latent – the first level. As we have seen, weak and latent current rheumatism is identified. In 1972, the Plenum of the All-Union Scientific Society of Rheumatologists, these two forms of rheumatism were divided: sluggish rheumatism – with a minimal degree of activity, latent rheumatism – private and asymptomatic flowing; diagnosed on the basis of registration of the effects of rheumatic disease (presence of heart disease). 1. Take Comarum in the form of dry cinquefoil stems which are to be cut into 1-2 cm long pour in the bottle for 1 / 2 or 1 / 3 of it and pour vodka or some other strong alcohol. Draw the stuff for 21 days in a dark place. Consume one either teaspoon or tablespoon 3 times daily before meals. In especially severe cases, take 1 small glass 3 times a day. Drink, preferably in the cold season of the year. The same infusion rubbed joints and make compresses. The people believe that to ensure that the outcome of treatment one has to drink in total of 2 bottles of such remedy. 2. Heather usage. The procedure has to be made for the night. Use 2 tablespoons with chopped dry grass for one liter of water. Boil it for 10-15 minutes on low heat and insist encased in the night. The next morning you have to strain and drink instead of tea or water at any time of day. Could be used to drink as a course of treatment 3 months, a break for 2-3 weeks and then repeat the course. Heather is used for rheumatism, gout, kidney stones and urinary bladder, cough, atherosclerosis, nerve disorders, insomnia, dizziness, blood vessels of the brain, urinary organs. 3. Use elecampane root in the quantity of 25 g. with Comarum dry stalks of 10 g. i.e. the crushed roots and leave the fusion with vodka added to draw for 21 days in a dark place, then filter. Take one tablespoon 1 time per day in the morning on an empty stomach with water. At first the pain may worsen, we must endure. When you receive an infusion of rheumatism can not eat salty, sour, sharp, do not drink alcohol. 4. Take stinging nettle juice of one part with natural honey of the same quantity to be covered with alcohol of 90-96% spirits in the same quantity. Remember! just squeezed juice of nettles mixed with alcohol. Stir the stuff well and put into the fridge for 2 weeks. Then take 30 gr. three times a day for 30 minutes before meals. The course is considered for up to 6 months. This kind ofinfusion used for rheumatism, arthritis, kidney stones and urinary bladder. 5. Three-color violet as a tincture or tea are inside of arthritis, gout, rheumatism and arthrosis. Infusion: 2 tablespoons. tablespoons herb draw 1-2 hours in 2 cups boiling water and drink for 1 / 2 cup of warm infusion 3-5 times a day 30 minutes before a meal or grass brewed as a tea and drink with honey to taste, without a strict dosage. Small children brew more cups a day can make! 6. Burdock, a leaf. Relieves pain. Fresh burdock leaves moistened in cold water and attach to the back of a patient location (fluffy) and press. When the pain subsides removed. You can pick the leaves in the summer of burdock and nasushit them in the shade. Winter only a sheet of tepid water to soak in and apply on the sore spot. The action of the same. 7. 40 g of crushed cloves of garlic per 100 ml of vodka. Insist in a dark place at room temperature, periodically shaking, from 7 to 10 days. Strain. Take 10 drops 2-3 times a day for 20-30 minutes before eating. 8. 20 g of crushed wings beans per 1 liter of water, boil for 3-4 hours, cool, strain. Drink 1 / 2 tablespoons per day. 9. Stigmas of corn – 1 tea spoon of riding a century. water, cook on low heat for 10 minutes. Drink 6-8 weeks, every day for 2-3 tbsp. 10. 1/4 tsp. flowers of lilac and crushed buds of lilac on 1 tsp. alcohol or vodka. Let draw in a dark place at room temperature for 8-10 days. Take 20-30 drops of alcohol tincture; vodka – 50 drops 3 times a day.